I've never done one of these Friday Reads things before but I figured what better time to start than during Read Women Month? 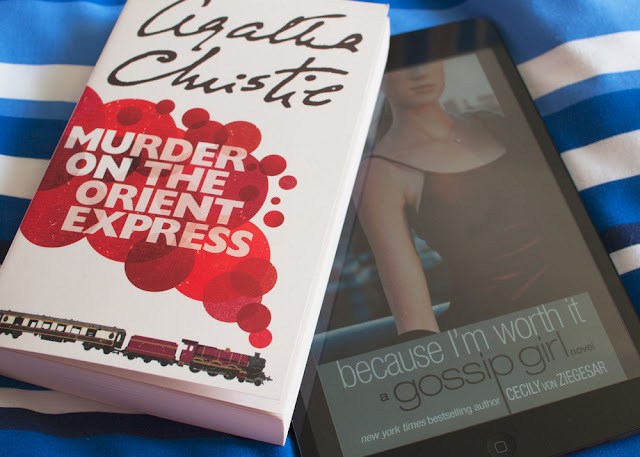 The first book I'll be reading this weekend is Murder on the Orient Express. This is my first Agatha Christie novel and it's fulfilling my Read Women Month challenge to read a classic. Murder on the Orient Express is the 10th in Christie's Poirot series but I'm almost half way through it already and I haven't had any issues with not having read any of the preceding books yet. The plot is sort of self explanatory: there's a murder on the Orient Express and Poirot investigates it. I'm enjoying it a lot so far. I'm also currently reading the fourth Gossip Girl book Because I'm Worth It, which I will of course be reviewing for The Gossip Girl Review Project when I'm done. I'll leave the synopsis for that post because I'm not too far into it yet and I like to go into these books without knowing what to expect. It makes the inevitable disappointment of Chuck Bass a little easier to bear. 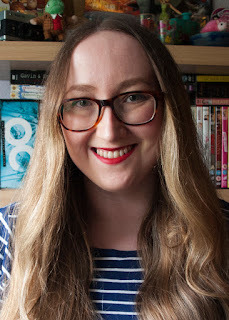 It does feel a bit weird to be juggling Agatha Christie with Gossip Girl but you know what, Read Women Month is about celebrating all women writers and heck, I'm having a good time. This would be an A+ regular feature and I would like to see more of this! !